Cells and Batteries (chargeable and non chargeable); Relays, Switches, MCB & Connectors. 2. Electronic Devices and circuits PN Junction diodes, thyristor; Diode and triode circuits; Junction Transistors; Amplifiers; Oscillator; Multivibrator , counters; Rectifiers; Inverter and UPS. 4. Linear Integrated Circuit Introduction to operational Amplifier; Linear applications; Non Linear applications; Voltage regulators; Timers; Phase lock loop. 7. Communication Engineering Introduction to communication; Modulation techniques; Multiplexing Techniques; Wave Propagation, Transmission line characteristics, OFC; Fundamentals of Public Address systems, Electronic exchange, Radar, Cellular and Satellite Communication. 8. Data communication and Network Introduction to data communication; Hardware and interface; Introduction to Networks and Networking devices; Local Area Network and Wide area network; Internet working. 10. 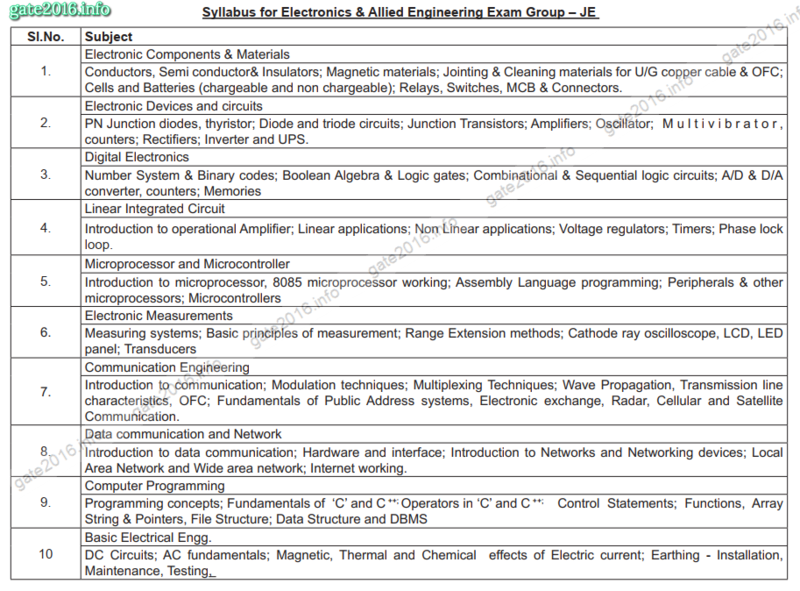 Basic Electrical Engg. DC Circuits; AC fundamentals; Magnetic, Thermal and Chemical effects of Electric current; Earthing – Installation, Maintenance, Testing.